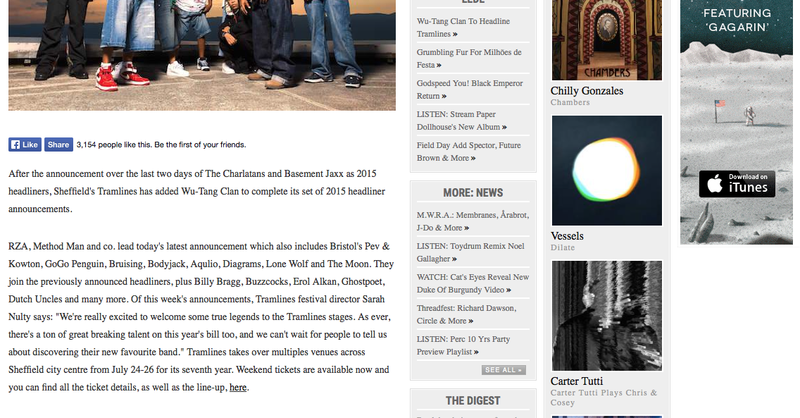 The Quietus exclusively announce the Wu-Tang Clan to headline at Tramlines festival 2015! 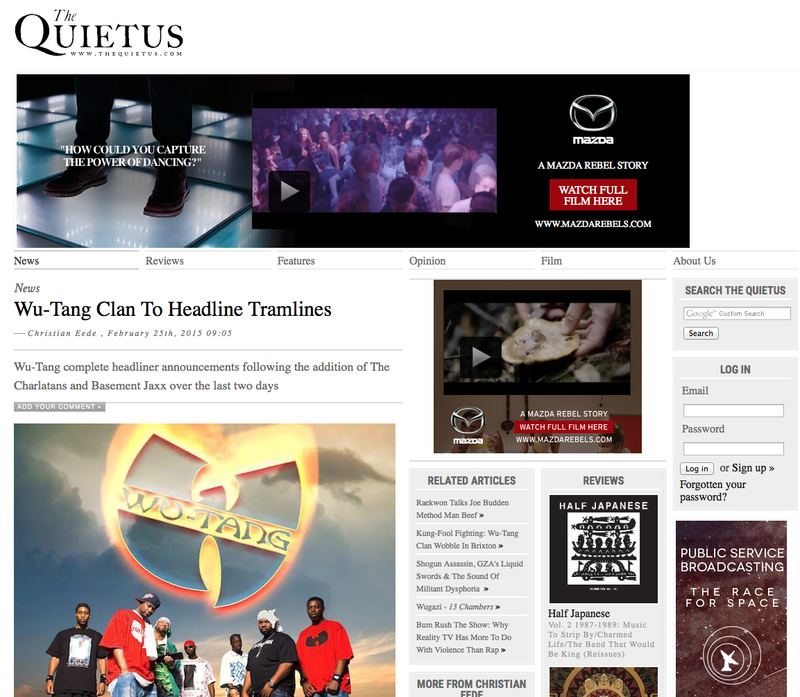 The globally renowned online music magazine, The Quietus exclusively announces Wu-Tang Clan to headline at the Tramlines festival 2015, alongside Basement Jaxx and The Charlatans. They also make an exclusive announcement on a few of Tramlines exciting line-up for 2015, from RZA, Method Man & co, Go Go Penguin, Diagrams and many many more.